Known for its impressive alpine landscape with peaks of the Dolomites reaching ten thousand feet, this region boasts some distinct terrain for the cultivation of serious wine. The high elevations accompanied by mixed gravel soils, the cool breezes from the Alps and warm air flow from Lake Garda uniquely collaborate to form the environment for world class grapes. Truly a land of topographical and climate extremes. 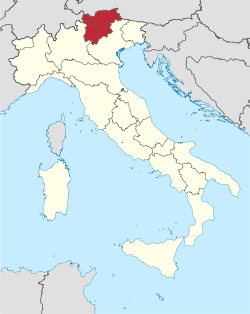 Located in the far north just below Austria the area shares more in common with German/Austrian culture than it does with southern Italy. Through years of political turmoil the land has switched hands and although belongs to Italy today the food, wine & language are still heavily influenced by the aforementioned cultures. Mono variety wines of german descent made with focus and precision is the baseline. Dumplings and strudels are a daily consumable and the street signs will often be in German first then Italian. It has taken recognition for its perfumed white wines, which account for over half its production, but make no mistake as its indigenous red delights such as Lagrein and Schiava are also to be noted.